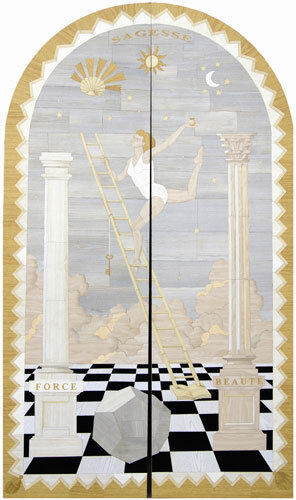 Dive into a new realm: Paris’s New Marquetry presents a unique and breathtaking experience, one that recalls the splendor of grand Italian palazzos or aristocratic manors of yore. 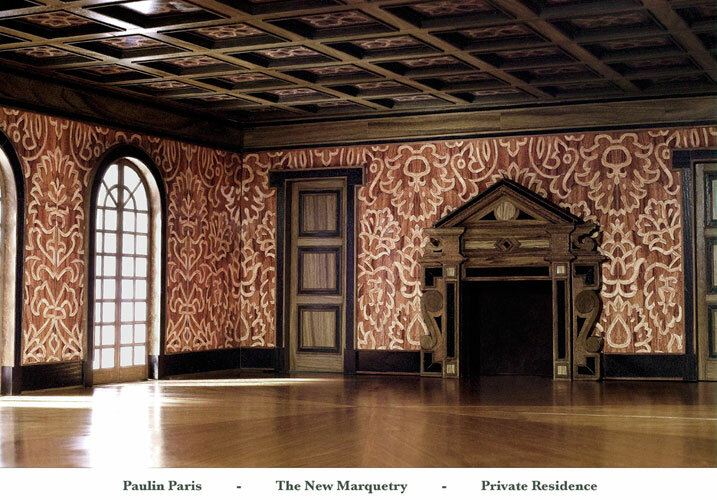 Yet perhaps now it is a decorative element that can enhance a contemporary retreat. 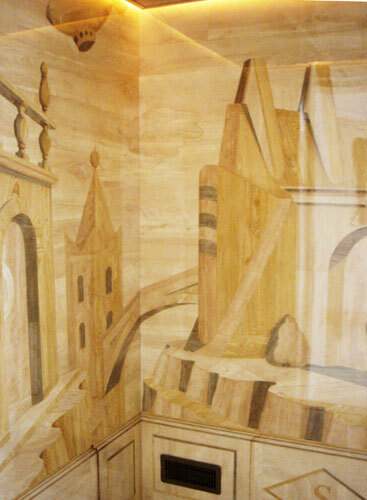 The New Marquetry is haute couture, and employs a large variety of faux-bois paper. A wide palette of wood shades can be crafted into a variety of designs, from architectural scenery to large-scale patterns or abstract shapes. Each and every single piece is carefully cut and pasted by hand.